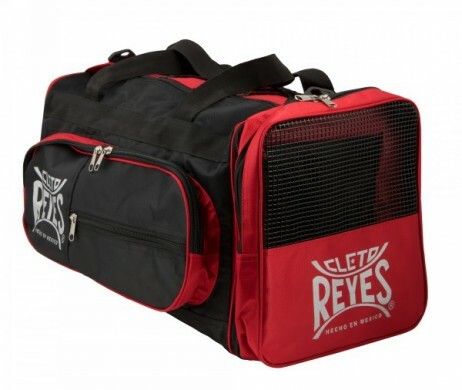 Dimensions: 18″ L x 12″ W x 12″ H – See picture below! 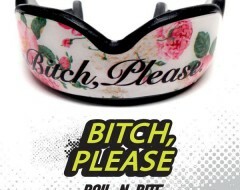 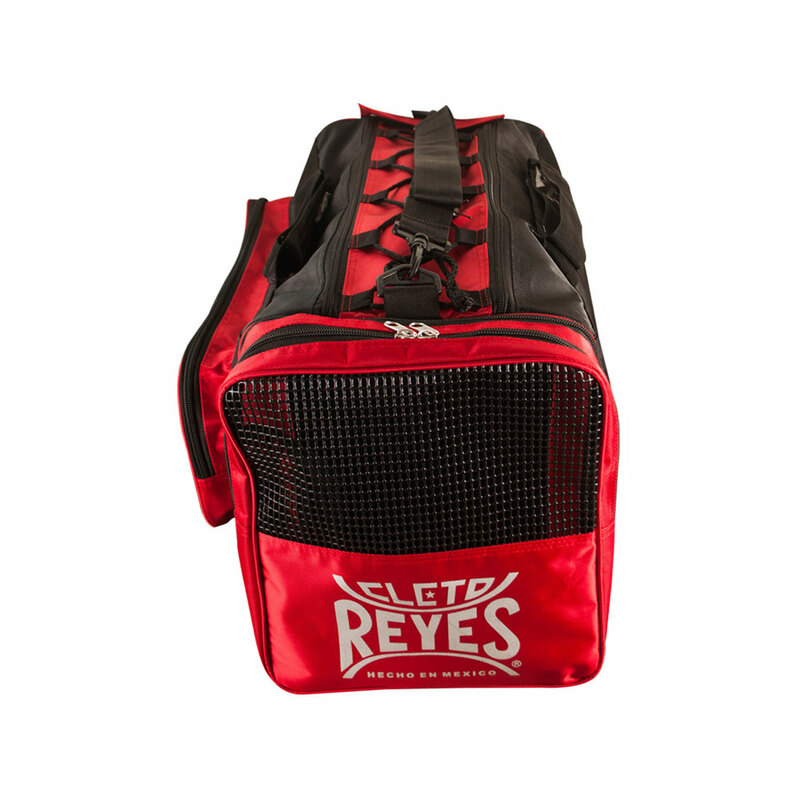 To store Gym clothes, gloves, handwraps, headgear, groin protector and more! 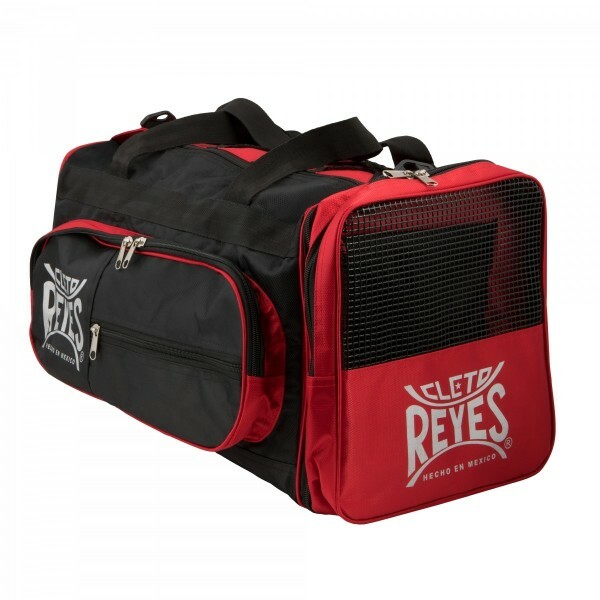 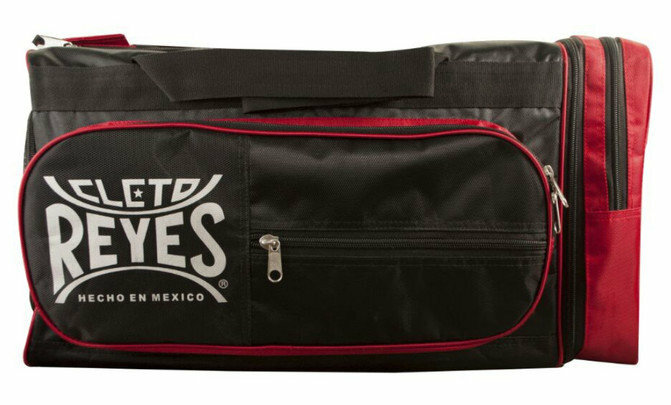 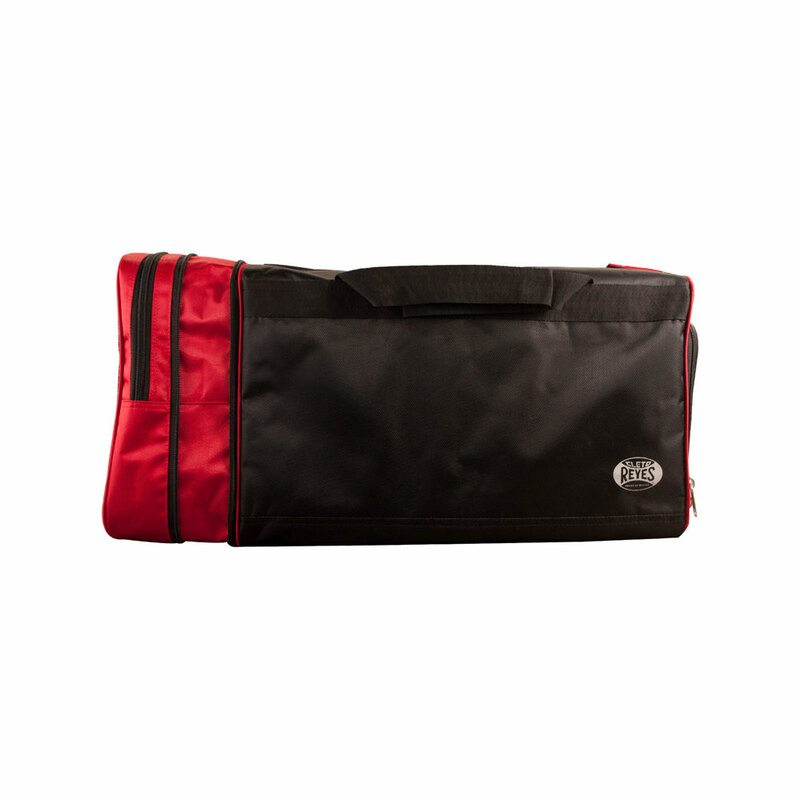 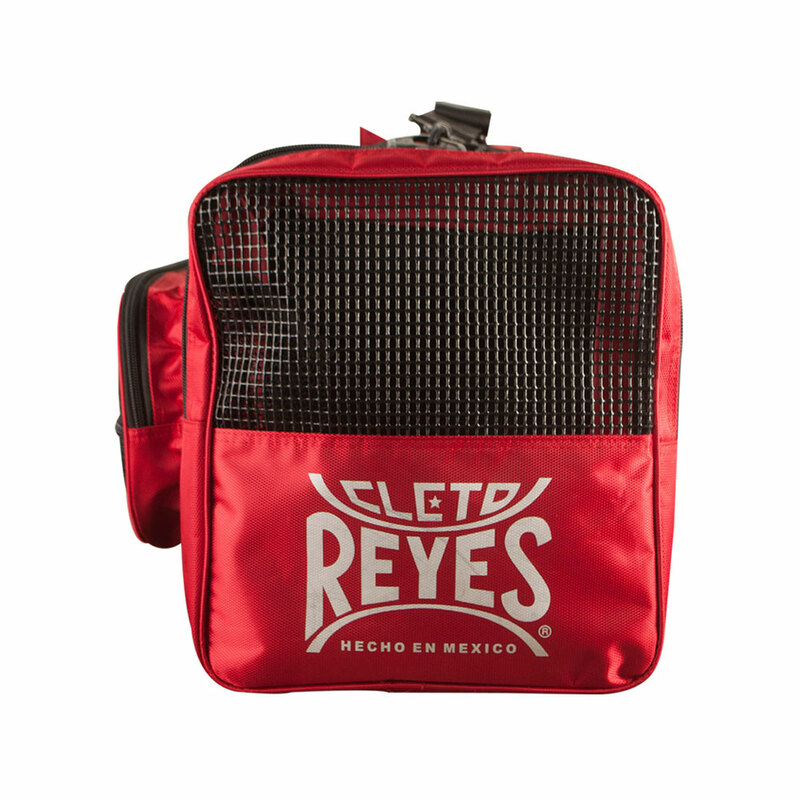 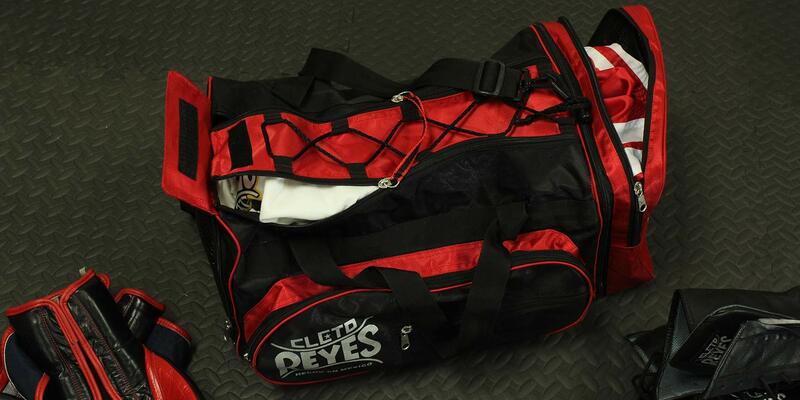 The Cleto Reyes Redesigned Gym Bag carries all of your gear in a spacious main compartment with zippered pockets for easy accessibility and organization. 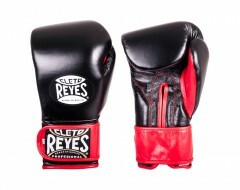 Mesh sides for ventilation when carrying damp clothes, gloves or handwraps. 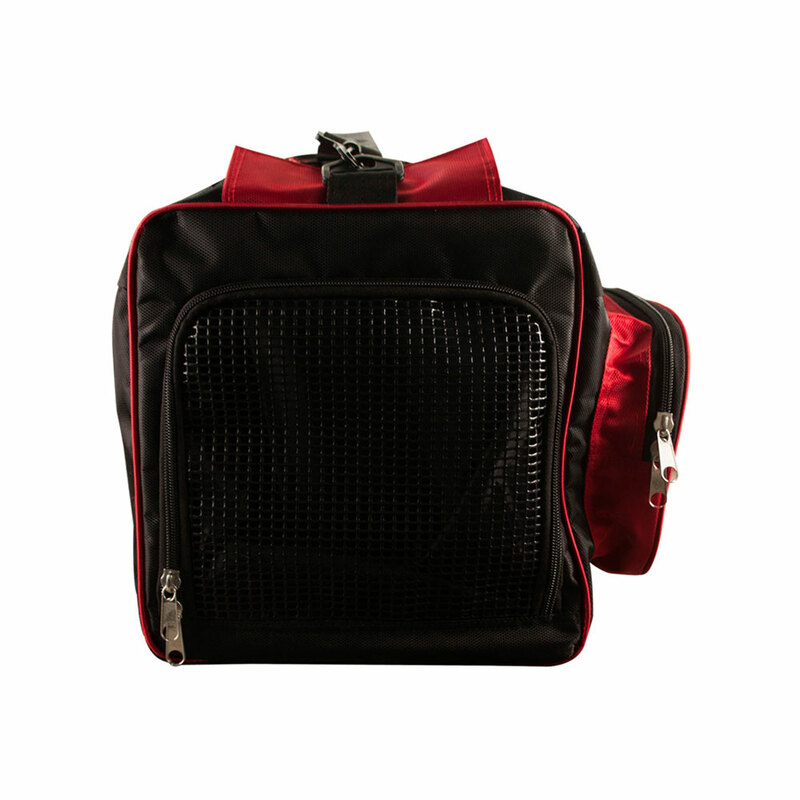 Adjustable and detachable shoulder strap makes it easy to convert your bag into a hand carry or sling bag. 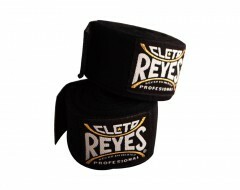 Stay stylish and even when you are out of training. 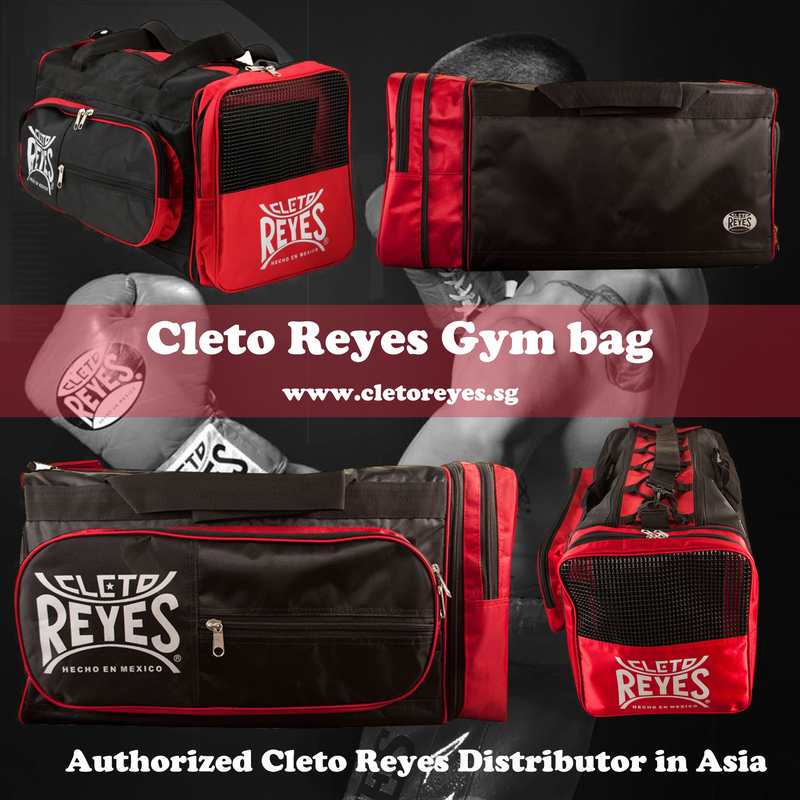 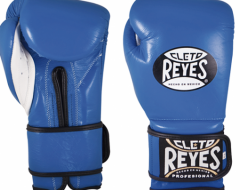 MTB Asia is the only authorised (licensed) retailer of Cleto Reyes Boxing Gloves in Singapore.